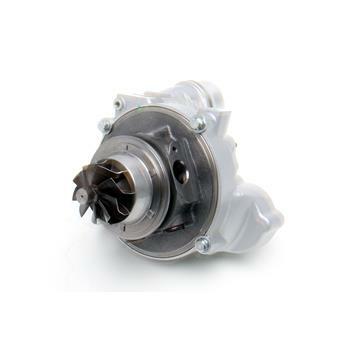 For the racing enthusiast or those just looking for the best, this is the ultimate upgrade to fully maximize the power output of your turbocharged engine. The compressor wheel inside the turbocharger is increased in size allowing greater flow thus enabling additional boost pressures at higher engine speeds while retaining efficiency. These are rebuilt factory turbos that are machined to Dinan specifications along with an upgraded thrust system to ensure reliable and prolonged life. In order to attain maximum advertised power gains these big turbos will need to be paired with DINANTRONICS Stage 4, as well as Dinan’s intercooler to fully regulate the boost increase and deliver a polished product although the exhaust and intake are also recommended. Factory turbo that is machined to Dinan specifications with an upgraded thrust system. Larger billet compressor/impeller wheel that allows greater flow over stock which then enables additional boost to be realized while retaining efficiency. Dinan Installation instructions detail a procedure which is quicker than BMW’s turbo replacement procedure saving the end-user money and time at the shop. Includes o-rings and gaskets needed for complete installation. If installing on an xDrive vehicle Dinan P/N D313-0117 or D313-0127 is required for additional installation hardware. Factory matching new car warranty (4yr/50k) when run in Dinan specification. 50 State Emissions legal; CARB EO # D-176-49.